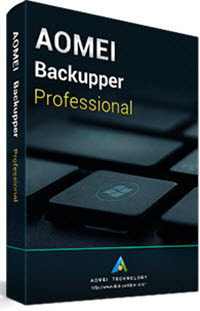 The 31st of March is World Backup Day and our friends at Aomei are giving away their Backupper Pro software to celebrate. One very nice feature is the ability to create bootable media for this software. This means that you will be able to run Backupper Pro even if Windows fails to boot. 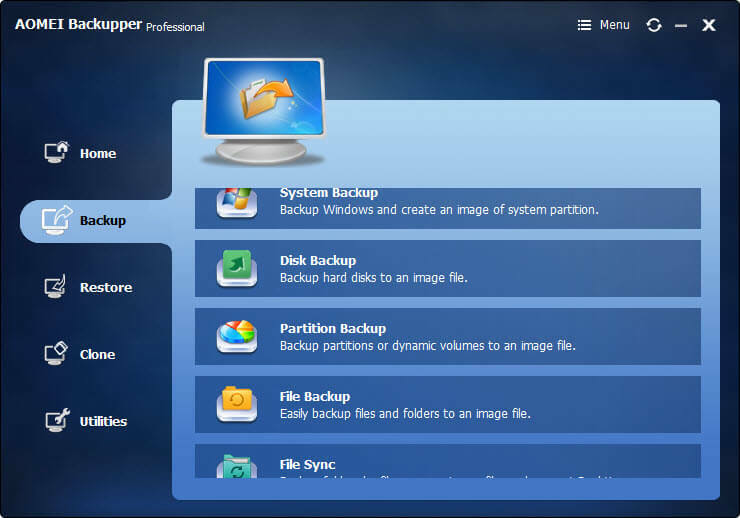 The above link will take you to the official Aomei Backupper Pro page where you can read all about how this fine program can help you to backup/recover your important data. We at Dave’s Computer Tips are constantly reminding you to make backups. A proper backup system will make your computer bullet-proof. This is your chance to try out a great backup solution free of charge. Don’t waste this opportunity. You can use this Download Link to get your free copy and a license will be included. Take advantage of this World Backup Day giveaway. This doesn’t happen often! I have the pro version and it is really nice program for image backups. Only thing is, after I upgraded my computer to a high resolution screen the GUI is tiny boxes. I finally noticed a setting under OTHER tab to Enable Large Windows Mode and now I can see the screens. So, anyone who gets this and has a high resolution monitor which makes everything look tiny, there is a setting to make it bigger. I installed this on my two PC’s. It is very east to use. I may be dense, but it sounds like this program won’t run after April 1. Am I reading this wrong? Will it work after April Fools Day or is this just a joke? If the software will only work for 3 days, what’s the point? Please correct me if I’m wrong. The license will work forever until you uninstall the program. It’s a one-off thing. Basically, use it or lose it. The only caveat is that it must be installed within the given time frame, which (unfortunately) ends on April 1st. Registration code from readme file was invalid. Using the provided download link, you will receive a ZIP file which needs to be extracted. This can be done within Windows or by using a third-party tool. In either case, there is a readme.txt file included. This file contains the license for the program. HELLO I USED THIS SOFTWARE JUST NOW, EVERYTHING WEN ALOnG SMOOTH, EVEN MADE THE BACK UP BOOTABLE MEDIA DISC, IT PROMPTED ME TO PUT DISC INTO CD DRIVE I DID AND ITEJECTED WHEN IT WAS FINISHED, SO I SHOULD NOW HAVE A FULL SYSTEM BACKUP,BUT WHERE IS IT, WAS NOT PROMPTED TO PUT IN DISC BUT IT RAN TO 100% HOW CAN I USE IT IF IS ON THE COMPUTER SOMEPLACE? MY QUESTION IS WHAT DO I DO AFTER ITS FINISHED SYSTEM BACK..UP, WAS I SUPPOSED TO PUT IN DISC AND COPIED IT ALL TO THAT?? Is your CAPS-LOCK KEY STUCK? Backup programs will ask you for a Source (what you want to back up) and a Destination (where you want to store the backup). I am not qualified to answer specific questions about this software but Aomei will have an FAQ page and/or a help page somewhere that should explain everything to you. The bootable media is used to boot the PC, in case you PC will not boot, and hopefully find the Aomei system image you have made and should have been stored on a separate HDD or external drive, and restore your PC from your system image. The Linux bootable media is much easier to make, and navigate, than the windows pe. Hopefully you will never have to do a restore, but it is very important to keep the backup up to date. To answer your ?. Once the backup is made and the media has been made, all you need to do now is to mark that CD and store it for future use. Registration worked on 2nd download. and since I liked the the free version I bought the life time deal. Thank you. I tried the software and got errors twice out of three backups. Thanks but no thanks. It’s got to work first time every time when you are talking image backups. My recommendation if anyone wants a bullet-proof and totally reliable, professional but free image program is to go get the “free” version of Macrium Reflect. It has never let me down and I have done many, many successful images and restores and used it on different machines. You cannot get a better free program and I can tell you I have tried most of them over the years. You only need the paid version if you want to do more involved backups – things the home user won’t miss. Going on what BK has said above then all those who downloaded this program may not be able to restore their images after the twelve months has expired ? Richard – sorry I don’t want to sound ungrateful but if that really is the case then this is no small oversight – I would suggest you amend the words at the top of the page to clearly reflect that the licence deal is only for twelve months and not lifetime. I would go so far as to say you probably need to issue a warning about this in your next email as people may not come back to this page now they think they have a lifetime licence. I am sorry to hear you were having trouble with this program. I’ve never heard bad things about Macrium Reflect, so it’s probably good advice although I’ve never tried it out myself. I have added the one-year expiration information in the bullet list at the end of the article. I will also make note of this point in the next Newsletter and Reminder article. Download the software through the given link, enter the license key and click register. Then you can enjoy the software. It will be invalid once expired, and can’t be reused after uninstalling the program. Someone, please tell me where this Aomei license key is saying valid for 1 year. If one updates to the 4.6.3 version then the license key will change from Lifetime to VIP, at least it did on my PC. The lifetime version can be bought at any time, but this license cannot be used again if it is ever uninstalled, although the license is accepted after a version upgrade. I just cannot see where the trial version has anything to do with this license.